As she did with The Secret Wife, Gill Paul has taken a well known historical event and woven it into a story which imagines what may have happened. She is adept at intertwining fact with fiction to create a compelling novel. The historical aspect of this story looks at the long-lasting friendship between Wallis Simpson and Mary Kirk who met at summer camp in America in 1911. Their friendship lasted many years through various relationships, scandals and heartbreak before finally breaking down over a betrayal. The more modern part of the story is not quite history yet but is set at the time of Princess Diana’s death in a car crash almost 20 years ago in Paris. Newly engaged Rachel and Alex are in a car not far behind hers and are witnesses to the scene. Following her death, Alex becomes obsessed with finding out what really happened and begins investigating for a documentary. Rachel discovers a possible link between Princess Diana and Wallis Simpson and becomes very intrigued with this possible connection. Until I read the notes at the end of the book, I had no idea that Mary Kirk was actually a real person! I’m quite glad I didn’t as I would no doubt have succumbed to Google and found out more about her life. As it was, I was able to read this book with no idea what happened to her and just enjoy reading about her life. 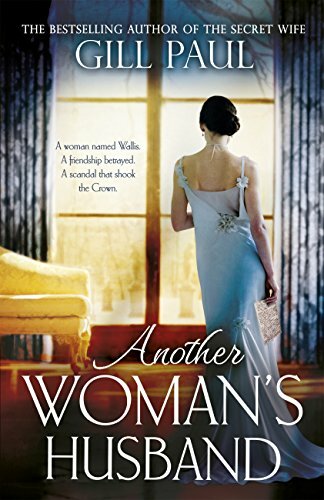 I liked the way she developed throughout the course of the novel from quite a naive young woman who really should have been less tolerant of Wallis’s actions to a much stronger woman who stood up for herself. She knew a lot of sadness in her life and I really felt for her as she yearned for a happy family life. Other than the fact that she was the American divorcee for whom King Edward VIII gave up the crown, I didn’t know an awful lot about Wallis Simpson either. Although the abdication was of course a huge upset and scandal at the time, I had always thought it was very romantic that he gave up so much ‘for the woman he loved’. Reading the book I see Wallis in rather a different light now. She seemed a rather selfish woman who only cared about getting what she wanted and showed little loyalty to those who loved and cared for her. I can understand a bit more now about why she was so disliked. In the 1990s, Rachel is an altogether more likeable character. She owns a vintage clothes shop although is struggling at the beginning of the story due to a break-in. I’m not really into fashion myself, but even I enjoyed reading about the glamorous clothes and jewellery she bought and sold in her business. The clothes of course, are just one link between the stories of Wallis Simpson and Princess Diana as they were both renowned for their stylish clothes. It is through her business that Rachel comes into contact with another character who has a link to both Diana and Mary adding another layer of intrigue to the story. I am going to admit that The Secret Wife is still my favourite book but I did thoroughly enjoy this book too. Gill Paul has obviously impeccably researched her real life characters, the historical events, the social attitudes to women at the time and brought all this research together into a fascinating and enjoyable read. If you’d like another fictional take on Wallis Simpson, Joanne, I’d recommend Gone with the Windsors by Laurie Graham. LG has a very dead-pan sense of humour and is very under-rated, I think. I also loved her The Importance of Being Kennedy, told from the point of view of President Kennedy’s childhood nanny. Oh they both sound good, must make a note of them! I’m not sure how much was factual – quite a lot I think – but she certainly didn’t come across well. Neither did he mind you! Great review Joanne – thanks!. I also much enjoyed The Secret Wife.